Recently I have developed interest in analyzing data to find trends, to predict the future events etc. & started working on few POCS on Data Analytics such as Predictive analysis, text mining. I’m putting my next blog on Data Mining- more specifically document classification using R Programming language, one of the powerful languages used for Statistical Analysis. Document classification or Document categorization is to classify documents into one or more classes/categories manually or algorithmically. Today we try to classify algorithmically. 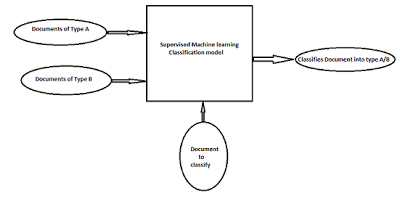 Document classification falls into Supervised Machine learning Technique. 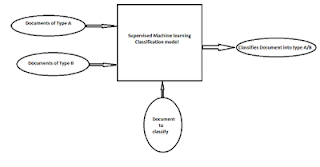 Technically speaking, we create a machine learning model using a number of text documents (called Corpus) as Input & its corresponding class/category (called Labels) as Output. The model thus generated will be able to classify into classes when a new text is supplied. We have speeches of US presidential contestants of Mr. Obama & Mr. Romney. We need to create a classifier which should be able to classify whether a particular new speech belongs to Mr. Obama or Mr. Romney. Corpus is a large and structured set of texts used for analysis. In our case, we create two corpuses- one each for contestant. Now the created corpus needs to clean before we use the data for our analysis. documents and attaching the corresponding classes as Labels. Labels into Training (70%) & Test data (30%) before we feed into our Model. Step VI: Running the model: For creating our model using the training data we have separated in the earlier step. We use KNN-model, whose description can be found from here. Step VII: Test Model Now that the model is created, we have to test the accuracy of the model using the test data created in the Step V.